Isn't this Free Floral Hoop pattern by Jessica at Cutesy Crafts gorgeous? I adore the colors she's chosen, and of course how beautifully stitched (and photographed) her sample is. 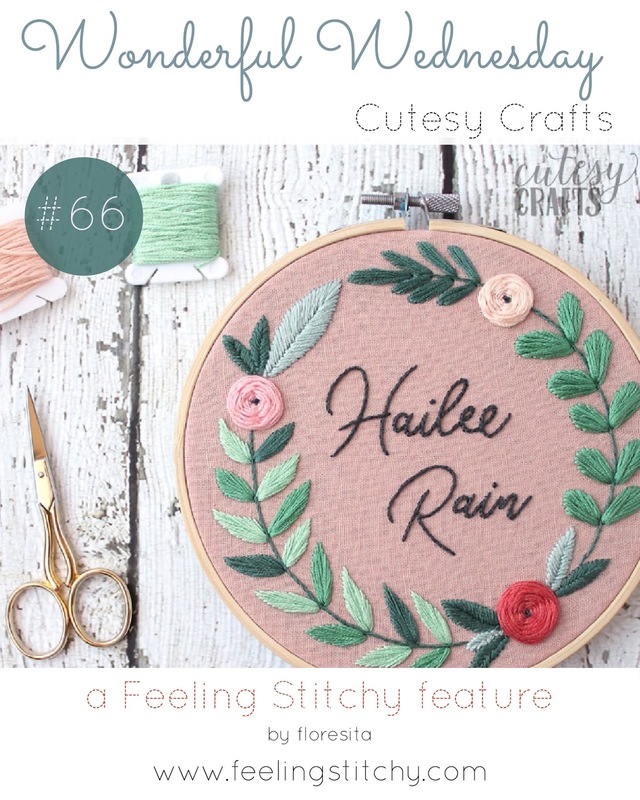 Jessica has a video series on Youtube that walks you through every step of the stitching process for this free pattern! 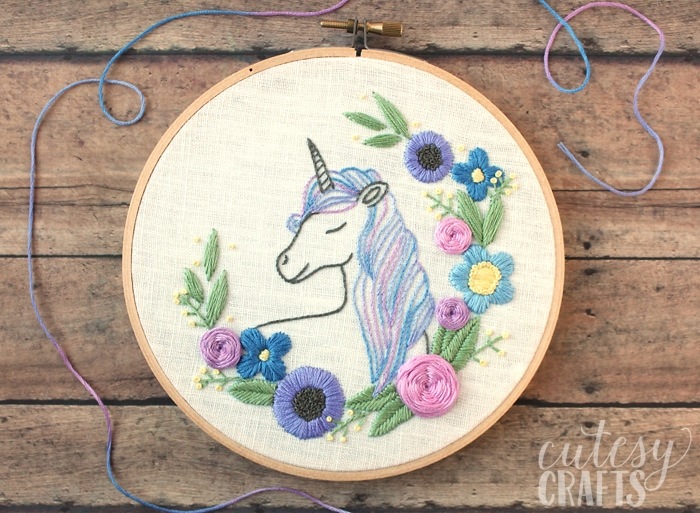 Unicorn lovers, how about this adorable free pattern? Her color choices are so sweet!